Two years ago, Beth Farrow turned her back on her three-year-old niece, Jenna, for just a few seconds. She disappeared without a trace. How does a three-year-old go missing from a crowded summer fete without anyone noticing? When Beth leaves the country to try and escape her guilt, someone sends her a photograph from an anonymous number. It's a photograph of Jenna. She's older, but Beth is sure it's her niece. She is determined to do what the police cannot: Find Jenna and bring her home. But someone isn't pleased when Beth returns. Fifty years ago, Sam Moore's little brother, Billy, vanished without a trace - leaving Sam with guilt that haunts him to this day. When Sam unearths a mysterious green marble buried in his garden, he's shocked to find himself transported back in time - to Billy. Whisked between past and present with no warning, and receiving only glimpses of their childhood, he struggles to unlock the secret of his brother's fate. But the marble isn't the only secret the ground holds. Further digging uncovers human remains - the legacy of a serial killer who's been targeting one boy every five years since Billy vanished. The next five-year mark is coming up fast. And now Sam's grandson may be in the killer's sights. Can Sam tie the past with the present and unravel the mystery of his brother's disappearance - before the killer strikes again? I enjoyed this novel it was sad in some areas and surprising in others. The narration was nice to listen to I would read Mr. Lazar novels again. Continue listening to your wife she knows. I do enjoy a good who done it. I like that the main character is a normal person. Not some super character that never makes a mistake. The story line makes you reevaluate the suspects many times over, And in the end still gives you a surprise. I am pleased to hear that the second book is already out. That way I don't have to wait to read the next book." 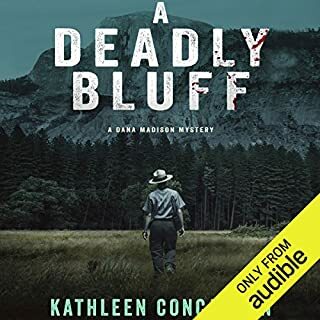 review courtesy of AudiobookBlast dot com." A "Who Done It" that surprised me, with a twist! A murder mystery with a little supernatural flair, and a bit of a weird ending. Definitely didn't see that coming. It worked, but didn't seem quite as plausible as other possible endings. I did enjoy listening to this book. 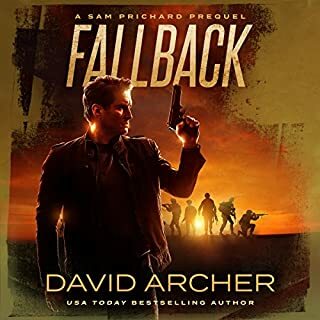 There were only a couple of times when the descriptions seemed to go on a little long, but for the most part, the author does a great job of setting the scene and allowing us to get to know the characters (especially Sam and his wife). I loved their dynamic and it really worked well within the story. The narration was pretty good for the most part. I did find myself wondering, "Who just said that?" a few times as it was a little difficult to tell who was speaking at certain points. But for most of the book, it was easy to tell. Really enjoyed listening. It was pretty fast paced and didn't get hung up too much on arbitrary facts or backstory. Overall, great book in what looks to be a good series! I received a free copy of this audio book for an honest review. 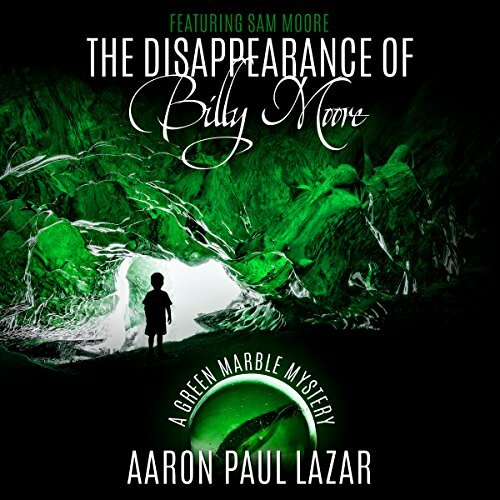 Would you consider the audio edition of The Disappearance of Billy Moore to be better than the print version? I haven't read the print version. The audio version piqued my interest to, though. As the book developed, it did. The early sections were developing characters. What about George Kuch’s performance did you like? At first I didn't care for the narrator but as I was drawn in I felt more comfortable with Mr Kuch's performance. This was a change from my usual reading/listening interests. But enjoyable and satisfying. II emphasized with Sam, as an older male adult. I look forward to the rest of the series. This is definitely a book I would recommend to others. It is loaded with everything a reader could want to find in a mystery story: Love, hate, joy, sadness, humor and terror ! What was one of the most memorable moments of The Disappearance of Billy Moore? I don't want to give away the story but I really enjoyed hearing Sam's thoughts about how much he loved and missed his little brother. He is a man who is full of passion and will go to the ends of the earth for someone he loves. When Sam held a camp-out reunion for his childhood friends he showed such tenderness when describing each one. He never forgot the fun they shared growing up together. Even though the men were now "senior citizens" they felt like kids again when they all got together to share their life stories. When the mystery of Billy's disappearance is finally solved I was so emotionally involved in the story that it almost brought me to tears. A surprise ending doesn't even begin to describe this story. Aaron has a way of giving the reader a part in his books and the reader becomes part of the story. 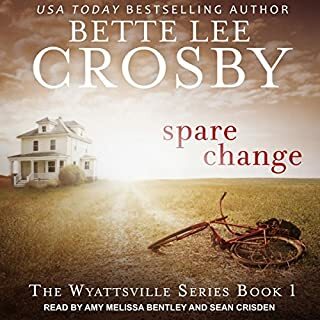 I was given this audio book in exchange for an honest review and I am already starting the next book in the series so I can keep getting to know the wonderful man in this story named Sam. I never expected the wonderful time travel aspect of this story and I was so impressed with the total realism of this exciting selection. Sam is now retired.Working in his garden he digs up a skeleton.He hopes it is that of his missing kid brother that disappeared so many years ago.When it turns out not to be he finds out that his brothers was only one of many kids that have gone missing at specific intervals over the years.While investigating his grandson dissapears and the search is on.George Kutch does a wonderful job narrating. Intriguing premise and I started this book right away. The narrator was very good and he fit the main character Sam so well. There was a lot of backfill while the main character was gardening and doing yard work, way more than was necessary or enjoyable for most people. Funny thing is, it's what I enjoyed most about the book. It was like going to visit an acquaintance named Sam and becoming good friends. Unfortunately, that comprised most of the book. It seemed like the last 20 to 30 minutes was when anything actually happened......as the mystery was revealed and Sam and his grandson face danger. Surprisingly enough, there was never any mention of police, of people held accountable for their actions. It seemed even though people had known of a missing boy's whereabouts for 50 years, nothing more than an apology to his brother ever took place. A kinder, gentler mystery indeed! At the end of the book, I was quite surprised to learn the author has written other mystery series. I will def go looking for him and try a few, but frankly if he writes more books to follow this one, as he says he plans, I won't be reading them. One marble mystery is enough for me. I do hope his other mysteries are handled with more skill, because this seemed more like a young adult read to me. In the end, and perhaps most importantly, I was able to stick with this book all the way through, and there are alot of books with which I have not managed that outcome. I gave this book an overall 3, even though I gave the narration and story 4 each. I felt the story really had the possibility of a 4, even though I didn't really feel it was earned. You have to really get my attention to earn a 4. Nothing but Best Books Ever get 5 from me. Above average narration perfectly matched to story, and great idea from the author, but it could perhaps have been handled more realistically. If you aren't craving excitement, but maybe just some company while you walk, drive, wash dishes, it will def give you that. This was an enjoyable whodunit, with enough turns and twists to keep you guessing until the very end. I really enjoyed the paranormal overtones, it added a “Kingesqe” feeling to the story, without Kings gore and language. Several times throughout the listen, I was certain I figured out who the “killer” was, but I was wrong. Aaron Paul Lazar does a great job with character development, and George Kuch’s narration is very good. His pacing is excellent and you can really feel the tension rise in critical portions of the book. 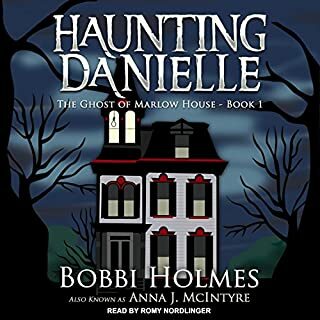 This was an audiobook requested directly from the author on Goodreads's lovely Audiobooks group; both description and sample sounded intriguing. And it is a good story, with a good narration: George Kuch is a unique and engaging reader. 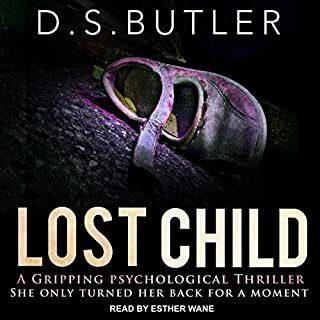 My only issue with his reading was his delivery of the toddler's voice, which – combined with a certain brattiness to the dialogue as written – made me flinch every time the child came into a scene. The bedtime scene made me want to go get a hold of a certain "children's book" narrated by Samuel L. Jackson. If you know what I mean. It is not a fast-paced story. The main character is Sam, a doctor who has just retired, and who is addicted to working out doors. And I use the word "addicted" advisedly: it was actually a little worrying that whenever Sam is not outdoors mowing and weeding and planting he is longing to be. The book's entire first hour is an amiable ramble through Sam's gardening, and huge tracts of the rest of the book are very much like it. That knotweed is a tough son of a gun. Sam's little brother Billy disappeared when they were, respectively, twelve and eleven, and Sam has survived the past fifty years believing that Billy was taken, probably killed, by a seriously unstable neighbor who was a relentless bully back in the day. After all these years Sam still suffers – is his brother still alive somewhere? If so, why has he never at least contacted his family? Did he suffer? What happened It's not something that ever loses its grip on a person. But there were a few problems as well. I found it a little hard to believe that Sam completely forgets to report something extraordinary Healey – the bully – cries out in extremis; there was a lot going on, but I would think that when someone says that his father killed his mother and made him bury her it might stick in one's memory. Something that kept throwing me off was the age difference between the two brothers. Again, at the time of the disappearance, Sam was twelve and Billy eleven … but Sam comes off as years older than Billy in the flashbacks. When he disappeared Billy was eleven and Sam was twelve, yet the dynamic was more like little brother with much older brother. Apparently, from the author's introduction, part of the inspiration of the book was that his wife challenged him to write a book from a killer's point of view, and so chunks of the book explore the thought processes of a psychopath. There were mixed results with that technique. On one hand, he did an excellent job of masking the killer's identity. I thought I was being fairly clever in picking up what I thought were pretty obvious clues. What I didn't realize was that the clues were built to be obvious: it was a trap, for which I fell. What wasn't so successful was some of the motivation behind the killings. It got a little eye-roll-inducing. The killer's mommy never baked him chocolate chip cookies. So sad. And I find it difficult to swallow that the worst epithet this bad guy could come up with for a man who did something terrible to a woman he loved was "the big jerk". All of that being said, the writing was solid – there were some really nice descriptions, and good characterizations – I very much liked Sam and his wife. I liked the lingering effects that the horror of Billy's disappearance still has on Sam. I liked the eventual solution to the crimes. I liked the time travel device. I wish the pace had been a little less leisurely, but there was a lot to enjoy here. This listen kept me interested until the end. I had an idea who the killer really was about 1/3 of the way through but the mystery and story were so compelling, I didn't care. I wanted to know what happened to Billy. Sam and Billy are brothers...and best friends. Until the day Billy disappeared 50 years ago. Sam has gone on with his life (grew up, became a doctor, got married, is now a grandfather) but he still thinks about Billy everyday and wonders what happened to him. He even goes so far as to concoct elaborate scenarios in which Billy is alive. The book opens on the day Sam retires and begins a hefty clean up of his overgrown yard. He finds a marble. He begins to have very vivid dreams about scenes from Billy's life. In the real world, someone is tormenting him about Billy and is closing in on him. There are definite elements that don't make sense in this book like the fact that it is so obvious someone is targeting him but the police don't watch him, his family, or his house. And in this one neighborhood, so many warped people, is too much to believe. Also, the climax scene has way too much action to be believable. Even with these inconsistencies, though, the story of Sam's bond with his brother is so absorbing that I listened with interest to the end because I wanted to know about Billy and then how Sam would deal with the knowledge. George Kuch did an excellent job with the narration and was Sam. Nothing he did ever brought me out of the story. I enjoyed his voice and appreciated that he didn't reach for the female characters. I received this book for free from Audiobook Blast in exchange for an honest review. What did you like most about The Disappearance of Billy Moore? I don't think I've ever read a thriller with such a good start to the story and character. The author eases us into a very visually descriptive book. Sam is a great character. We get to know the main characters family, it's great! Sam. He is a doctor, or was, with none of the pretension that can go with Dr based characters. He's a nice man, a family man but also a very intelligent man. A really good character that you really get to know and like. I really liked the sense of pace that you get. To start with I felt relaxed when listening to it. 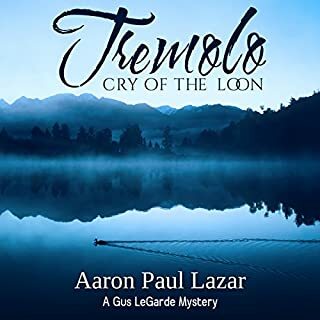 I was getting to know someone, then you start to also see the unfolding mystery and it draws you into the thriller element. It's an amazing journey and there's no one scene to pick. It's like picking your favourite bit of a painting, you can't, you have to see the whole thing. Towards the beginning when he's playing with his grandkids at his BBQ. It felt like one of those memories of a special time spent with family and friends. It was a snapshot of everything that is Sam.